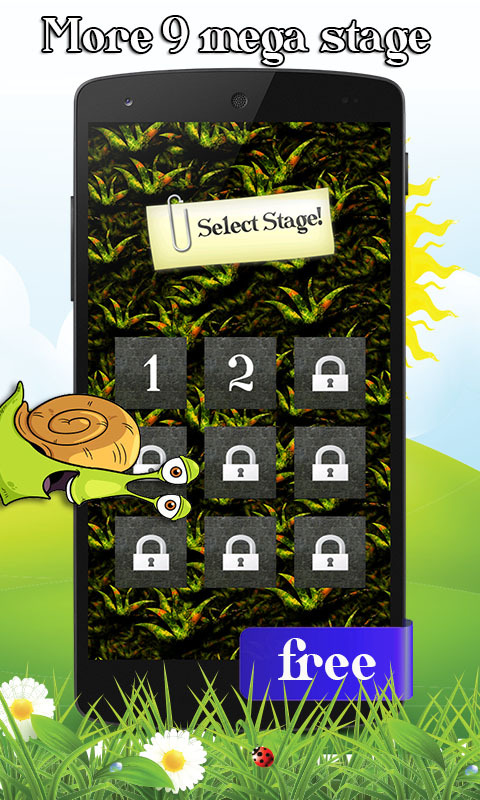 Little funny snail again went to travel in search of adventure. Now it interferes fog, huge abyss and dangerous thorns. 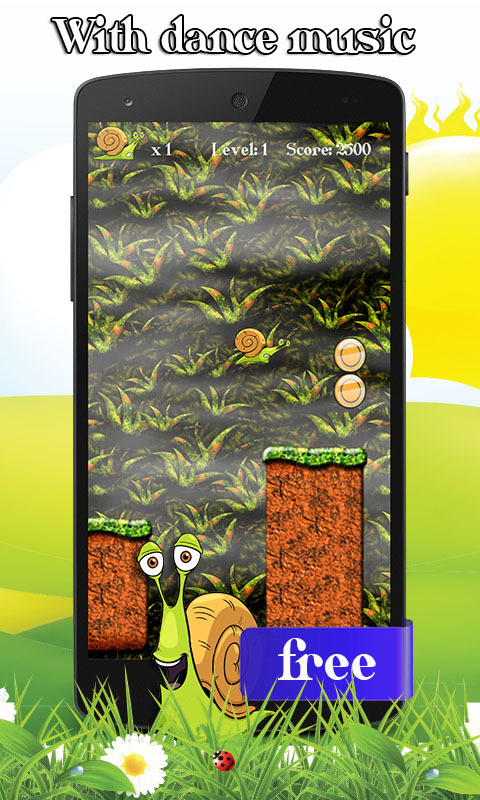 Funny snail is able to jump high and not afraid of anything. Scary spines at every step. Crazy stunts and jumps. 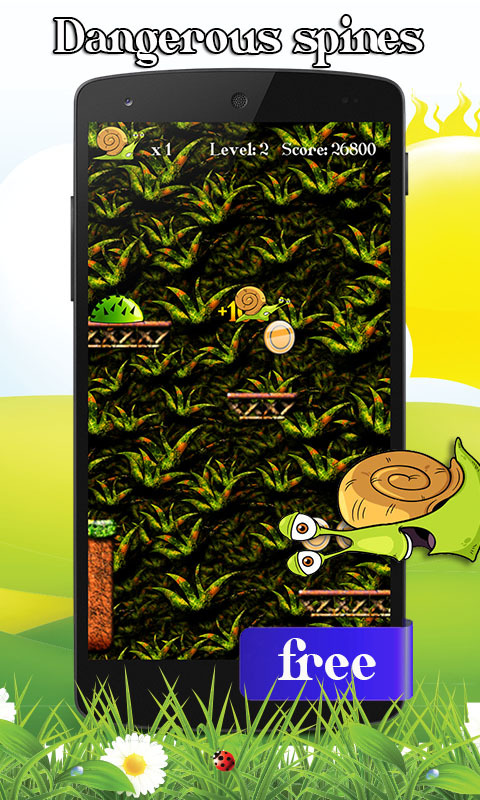 Make it to the company in these fun and beautiful adventures of the magical forest. Nine new amazing and amusing levels. 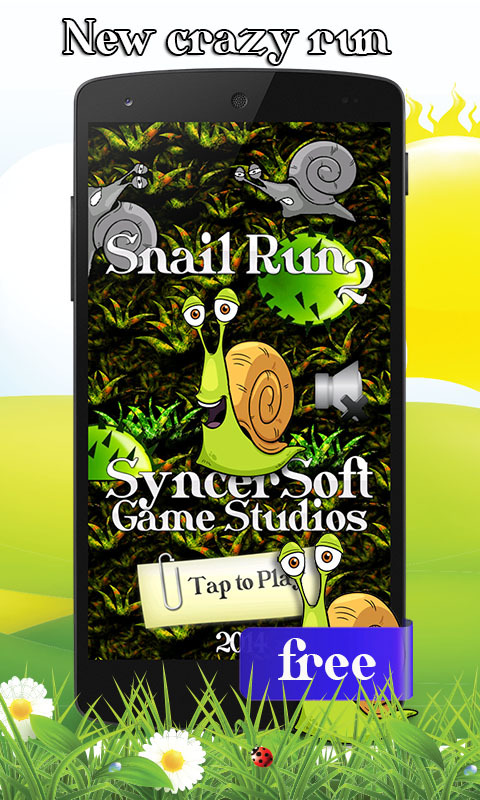 Snail Run 2 - it is a fun game that will bring you joy and make you happy. Believe me, you will get totally hooked on it. 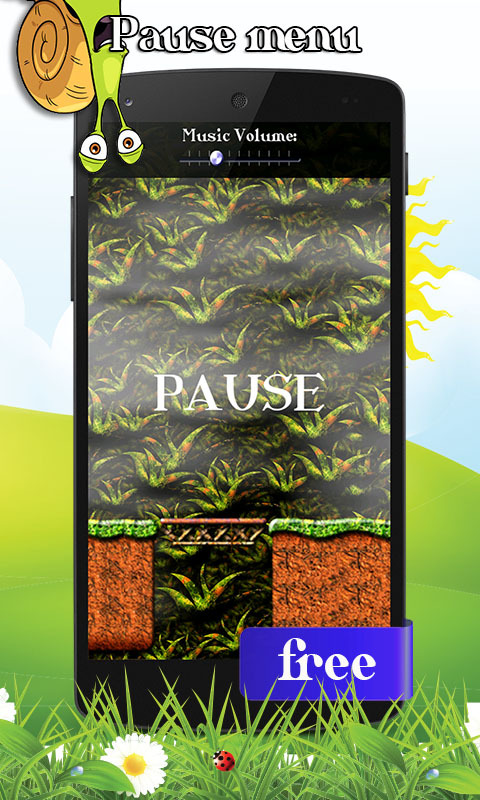 Just tap on screen for jump. Sweet and kind graphics and warm subtle colors to help you relax and get the most pleasurable sensations. Now even dance music and pause function to gain strength before new records. -= Features =- - Amazing cartoon graphics and warm subtle colors. - It will bring you joy and make you happy. - Funny studio sounds. - Dance tracks accompany you in the adventures. 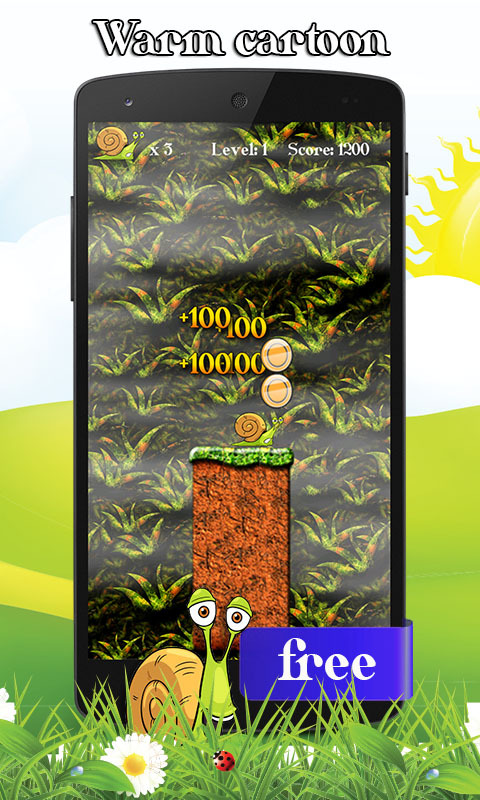 - Make double jump for best results. - Collect the coins. - Now there is a pause to rest before new records.